More than one-quarter of local students do not graduate from high school on time. Our research shows that students who complete ninth grade with six or more credits are four times more likely to graduate. As such, disparities in ninth grade credit attainment clearly foreshadow disparities in graduation rates. Through the Ninth Grade Counts partnership, schools and community partners have collaborated to help students start high school strong. 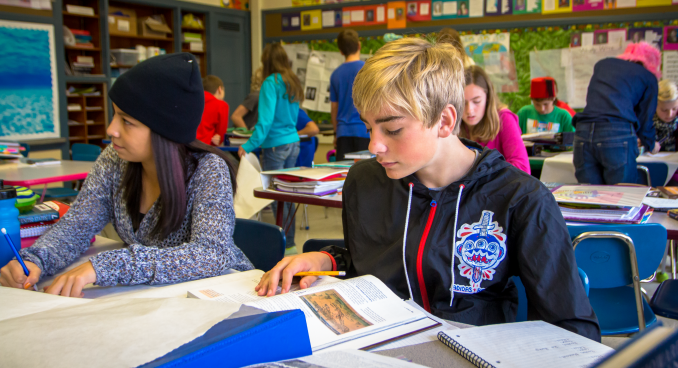 Their focus is on the critical transition from eighth to ninth grade. In 2017, 96% of participating students received elective credit, allowing them to start high school a step closer to graduation. Since 2009, Academic Priority students who participated in a summer ninth-grade program completed 6+ credits at the end of ninth grade at a 3–10% higher rate than their peers who did not complete a summer transition program. Hear from Ninth Grade Counts participant Nicole on how her summer learning has impacted her success. Countywide, we’ve seen a 7.2 percentage point increase in the rate of students earning six credits in ninth grade from 2010 to 2016, contributing to a 16.9 percentage point increase in the on-time graduation rate over the same period. For ten years, schools and community partners have helped more than 6,000 students earn the credits they need to stay on track. Click here or on the image below to learn more about our ninth grade transition partners.